Our culture of care extends beyond our business aims and objectives. We support a number of charitable causes globally, as well as specific events or needs. For example, we regularly donate to The Grace Trust which recently organised a highly successful Nepal Earthquake Appeal, with a sizable donation to assist the affected communities. We also take the opportunity to support a local sponsorship event when this arises. A Willmott Dixon group safety inspector was involved in a road accident that left him paralysed from the neck down, with only slight movement in his arms. 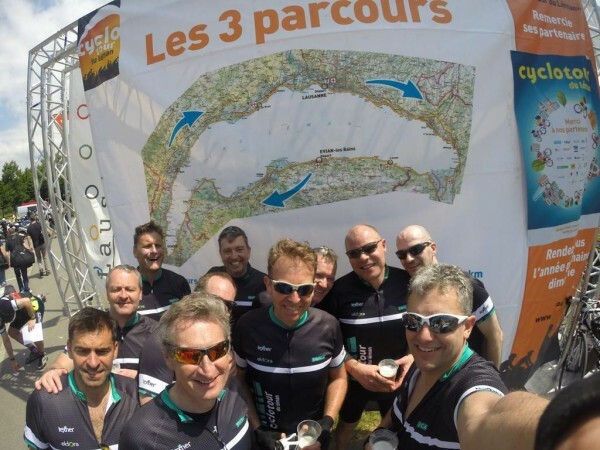 We sponsored some of the Willmott Dixon chief executives and managing directors who undertook the challenge of the Cyclotour du Leman in May 2015. They cycled 180km around Lake Geneva in a day to raise money for Stoke Mandeville Trust, a spinal injury recovery charity. The fundraising effort was a huge success, raising well in excess of £30,000 for the Trust. A local Norfolk businessman raised funds for the building of a bridge in Bangladesh which was to serve a local impoverished community and provide access to critical services and transport. We are pleased to have assisted in this fundraising effort which enabled the bridge project to be completed.